With so many exciting things happening around our celebration, you have been hearing about our 35th anniversary a lot lately. To commemorate some early fan favorites, we've brought some of our top styles back from the archives in a limited edition anniversary collection. Our design team had a blast looking back at old sketches, catalogs, and photos and redesigning select styles with a modern spin. Do you believe that some of the exact same Italian leathers are used in these styles that were used 35 years ago? Read on to see the full collection, now available for a limited time. The Flower is a classic silhouette with a chic minimalism. The Hunt is a saddle-style crossbody with a cool, retro vibe. The Satchel is one of our originals in a shape that has never gone out of style. The Index Wallet is the perfect small size with built-in functionality. The kiss-lock closure gives this style a vintage feel. 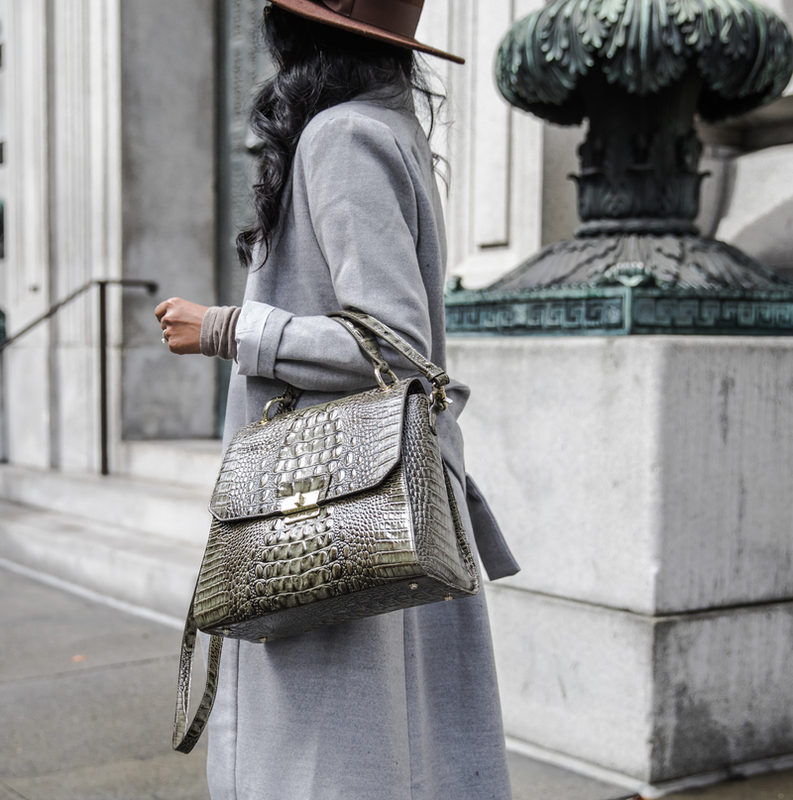 Top any of your Brahmins with an anniversary tassel in some of our favorite Fall textures. Extra perk: monogram the limited-edition medallion to make it your own. Celebrate with us and shop the full collection here. Cheers to 35 years of Brahmin style and many more to come! Posted on August 2, 2017 by Brahmin Handbags and filed under Trend Inspiration and tagged 35th anniversary Limited Time Only. Blogger Sheryl Luke of Walk in Wonderland styled the Brinley in Forest Melbourne, and we love her neutral-hued fall look. Isn't Forest the perfect autumn shade? Posted on October 10, 2016 by Brahmin Handbags and filed under Trend Inspiration, Bloggers & Fashion and tagged Fall 2016. We prescribe to the notion that leopard is a neutral, and this fashion fact rings especially true in fall. We are already imagining all the ways we will wear the Creme Surrey collection, adding a pop of leopard in luxe calf hair to our ensembles. Whether as a wild element for a little black dress on date night or slightly more subtle inside a black handbag for a coffee run, we want to incorporate leopard into everything we wear. 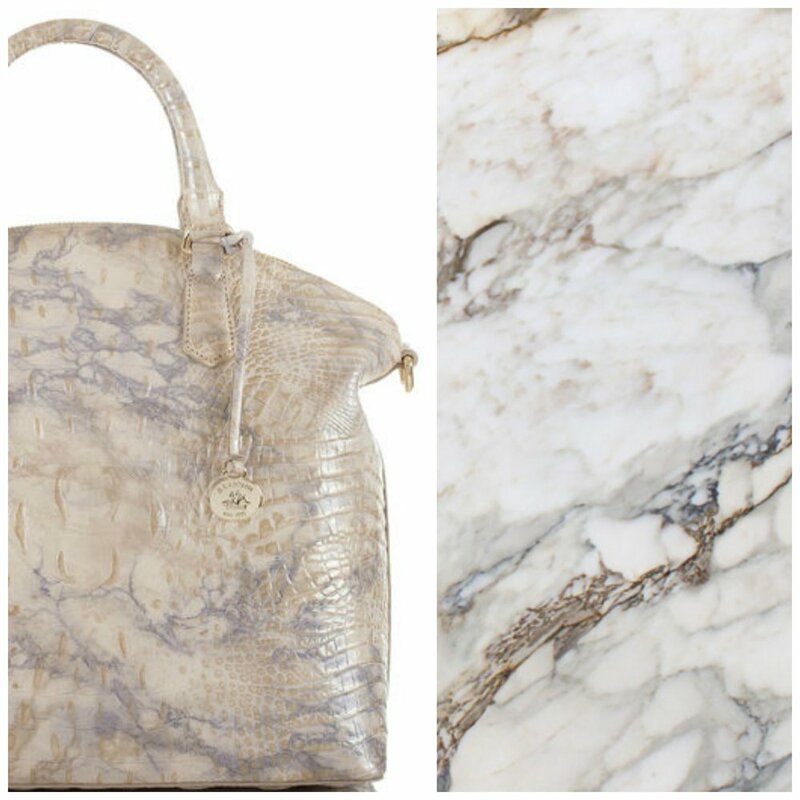 Posted on September 15, 2016 by Brahmin Handbags and filed under Trend Inspiration and tagged Creme Surrey Fall 2016. Over the years, we have designed quite a few handbag styles. With so many favorites, if we are going to introduce a new style you can be certain that it will be good. Enter Priscilla: one of our newest structured satchels from our Fall collection. Read on to learn the inspiration behind the design, to hear what makes it a must have, and to see its journey from a sketch to the satchel you will be carrying all season. Millie Bautista was the mastermind behind the Priscilla, so we sat down with her to gain insight into her inspiration for this style. She designed the silhouette in response to a need for a fashion-forward statement bag. With an angular silhouette and geometric edge, the cube anchor hardware adds to the modern look. It also has our standard interior and large back slide in pocket. Select your favorite color and shop here. Priscilla cannot wait to meet you! Posted on August 30, 2016 by Brahmin Handbags and filed under Trend Inspiration. We are feeling blue for Fall, and denim-inspired blue hues are trending in a major way. Blue is big season after season, but this Fall the tone is a bit broken in and faded. Think: your favorite pair of jeans that have been worn countless times and only get better with each wear. Here are some of the images that were inspiring our design team when creating the perfect shade. The finished product is called Palace, and we think you’ll agree that it is the perfect fall shade. Shop the entire denim blue trend here and break out your baby blues! Posted on August 2, 2016 by Brahmin Handbags and filed under Trend Inspiration and tagged Fall 2016 trending now. It’s beginning to look a lot like Fall here at Brahmin headquarters! It may still be H-O-T outside, but inside the office we are surrounded by deep hues, rich textures, and elaborate details that beg for cooler days. With our Fall collection making its grand debut soon, today we are letting you into our design studio to see our inspiration this season and a behind-the-lens glimpse into our Fall photo shoot. Our Fall collection was inspired by the convergence of classic England, where lush rustic countryside meets the weathered cobblestone streets of London. You are sure to see textures, hues, and embellishments reminiscent of the splendor of England in all of its grit and glamour. Artisan embellishment: Ornate embellishments inspired by architecture like artisanal embroidery, leather applique, and whipstitching create larger-than-life effects on traditional bags. Weathered abrasion: Distressed effects and worn-in textures evoke the emotions of Fall and lend well to classic pieces full of character that only get better with age. Denim blues: While denim is essentially seasonless, Fall is the ultimate time to don blues inspired by your favorite jeans. Leopard print: Leopard has the unique ability to add an element of the wild while remaining chic and sophisticated. Mixed scale paneling is a fresh take on leopard print for Fall. Color Palette: rustic neutrals, rich blues, and a pop of deep red comprise the color palette of the season. Posted on July 15, 2016 by Brahmin Handbags and filed under Behind the Scenes, Trend Inspiration and tagged Fall 2016 Behind the Scenes Inspiration. Backpacks are having a major moment right now, and we are fully embracing the trend. Trading a purse for a pack adds an instant ease to any outfit, and these spacious styles are perfect for a day on the go where having your hands free is a plus. Select your favorite color, and shop the Gloria backpack here. In luxurious leather, both smooth and croco embossed, it is the perfect companion for your weekend adventures that will keep you on trend. Where will you take your backpack? Posted on June 10, 2016 by Brahmin Handbags and filed under Bloggers & Fashion, Trend Inspiration and tagged Backpack trending now. Last week, we shared some of the inspiration behind some of our summer styles, and today we are showing you how some of the black and white looks came to life. Shop our full black and white selection here. Do you prefer feminine florals or graphic geometric prints? Share below! Posted on May 12, 2016 by Brahmin Handbags and filed under Trend Inspiration.